I recently caught up to the rest of the world and watched Edge of Tomorrow, then promptly read the manga it was based on, All You Need is Kill (which I assume is a grammatically awkward yet appropriate play on “All You Need is Love”). I enjoyed both renditions of the story, although the manga’s ending kind of sticks with you longer because of the twist. 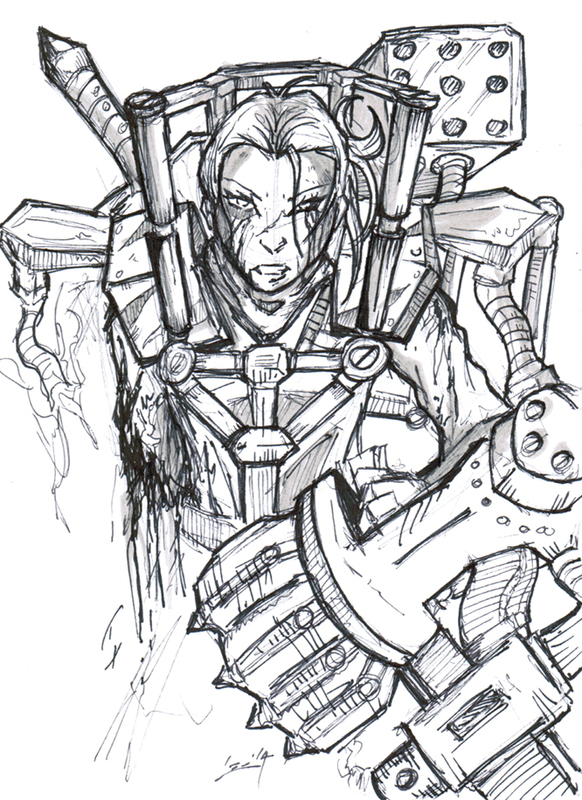 In any case, I felt compelled to sketch up my interpretation of Rita Vrataski while on the train home from work. I preferred Emily Blunt’s older, toned-yet-graceful appearance as a believable basis for the character. For most of you, I’m known for drawing hyper-cartoonish characters with big eyes and heads and stubby fingers and limbs. For some, it might surprise you to hear that I only started drawing this way when I started Durdling Around. 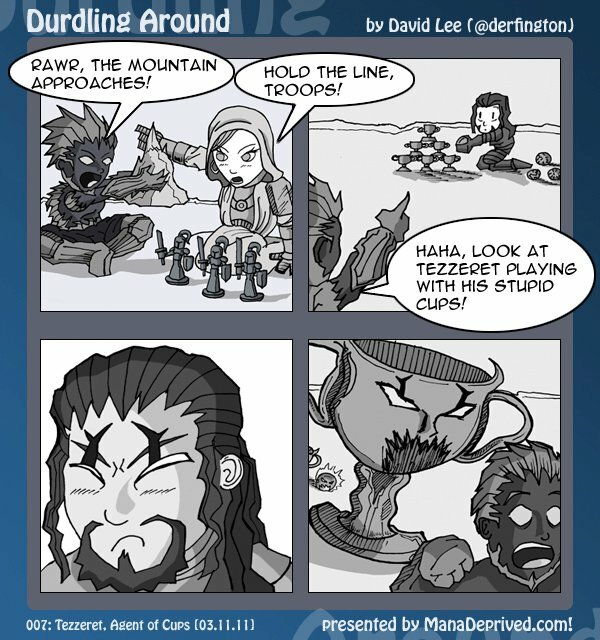 I don’t know why I decided to stick with it, but I know it started with Tezzeret, Agent of Cups. That it got such a positive reception was likely no small factor, and despite how crude the artwork looks to me today, I’m still really happy with the execution of that comic. My natural style is much more of this gritty, sketchy manga-ish look. If I’m drawing to pass the time on the subway or to unwind, I’ll sketch out character designs in this style. I never really see myself as an actual comic artist (i.e., an artist who draws comics), rather an artist who draws portraits and character designs in a comic-y style. That makes Durdling Around some kind of happy miracle, as I otherwise would never have drawn comics for this long. Next Post Happy Holidays from Misty!